Hello! I have another card share for The Alley Way Stamps. I used Cover Ups to create the embossed backgrounds for this card - how cool are those little designs?! And ever since I saw the Monster Madness set, I've been itching to use this sentiment. I used WOW Clear Matt Dull Embossing Powder to emboss the Cover Ups patterns on Bazzill Card Shoppe cardstock in Easter Grass and Juicy Pear, available from the Ribbon Carousel. 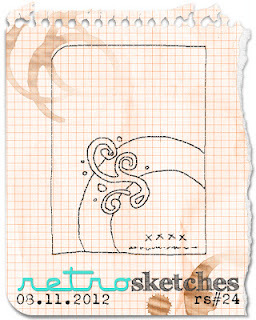 I used the current RetroSketches sketch for my layout. 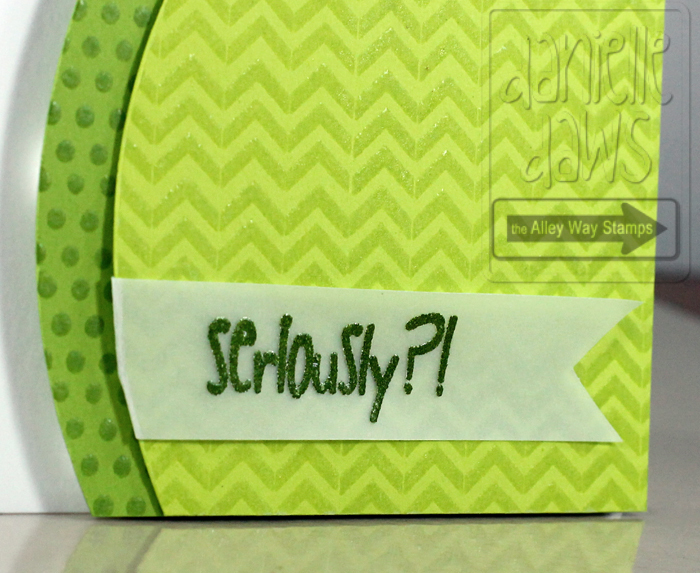 And I'm also entering this month's WOW Embossing Powder Challenge. AND some very cool news? The Alley Way Stamps are now on sale at The Stamp Spot in Australia! 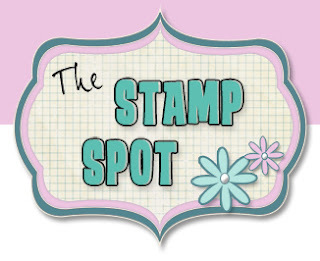 You can find TAWS stamps at The Stamp Spot HERE. Love those greens! What a FAB cas design Danielle! Seriously simple but really effective - Love it. Thanks for joining us at the WOW Challenge.